As a playwright, theater artist and educator, the written and the spoken word are intimately intertwined. I often write words intended to be performed aloud, and I speak my written words in order to clarify my thoughts. As a student of both creative and critical writing, I learned how the written word could free my voice and allow me to unravel and express the multilayered — and oft-contradictory — truths of my existence. It is utterly impossible for me to speak about my life as a writer without my social identities informing the narrative. I am a college-educated, 30-year-old black woman who grew up in a mixed class background with a single mother. I was raised in one of the richest counties in the United States, Howard County, MD, with a “private school level” public education system. I received my bachelor’s degree in Screenwriting and Playwriting from Drexel University and my master’s degree in Educational Theatre from New York University. I worked in public school education for about 5 years and have recently changed careers to Arts Administration. And my name is Latisha Jones. Why the short biography? Because often times when artists who are minorities are asked to speak about their creative experience, they are asked to talk about their art separate from their social identities — because it “makes people uncomfortable” — or they are asked to be the “representative” for their social identity and are seemly asked to speak for the likely millions of people who may have similar backgrounds. Both demands are nearly, if not completely impossible to fulfill, but many try anyway as a means of survival and learning to live as an artist. This is one of the many contradictions that can, at once, cause great anguish and yet prompt great art. For me, its life within these contradictions, either to explain them, use them or escape from them, which prompts me to create. Art is often a method to temporarily make peace with the cognitive dissonance of everyday life. When used by the government and other hierarchical structures, the pacifying power of art can crush the critical discourse needed for a thriving, democratic society. In Ancient Greece, the theatre served three main purposes; to serve the gods, to tell the stories of the past and to release the “negative” impulses of the public that were seen as a threat to Greek social and political order. When used personally, the pacifying power of art allows us to find a place a calmness and focus in our chaotic lives. In the world of “Black Lives Matter”, constant stories police brutality, and Trump, the power of art is more necessary than ever to our well-being. One of the ways I have tried to utilize the artistic power of the written word is by writing well-researched interactive plays for children. When I was a child, learning about African American history was a source of pride. I learned that there were writers, intellectuals, doctors and freedom fighters that looked like me. I was able to draw strength from stories of Harriet Tubman when I was feeling tired and weak; I drew strength from Shirley Chisholm when I needed to stand up for myself and from Sojourner Truth when I needed to speak. However, in working with the public school system, I’ve learned that some these stories which have the power to strengthen the resolve of children and help to prepare them for a society that is not always kind to their presence can sometimes be lost in the shuffle of standardized testing and academic benchmarks. In order to help solve a problem within the elementary education and remind myself of the humanity of my heroes, I wrote plays that are meant to be performed by children and shown in a classroom environment. When I originally started writing my plays, I was still working in schools, so I had the opportunity to direct and teach children about their history while teaching them how to project and speak with eloquence. The end result was a community event which educated the parents and students that attended, informed the lives of the students who performed, and brought a community to celebrate some of the historical achievements of Black Americans. The entire process of writing, teaching, directing and presenting these plays is transformative in the way that it gives me a small measure of solace in world where people need to be reminded that #blacklivesmatter, young black boys are tracked based on their reading scores in 4th grade and stories of police brutality are continually featured on the 24 hour news cycle. I cannot change my past or the way that people will perceive me based on external characteristics, but with my pen (or keyboard), I can create some measure of internal peace and clarity; and maybe be a positive influence for the people around me. That’s all any artist really wants, right? 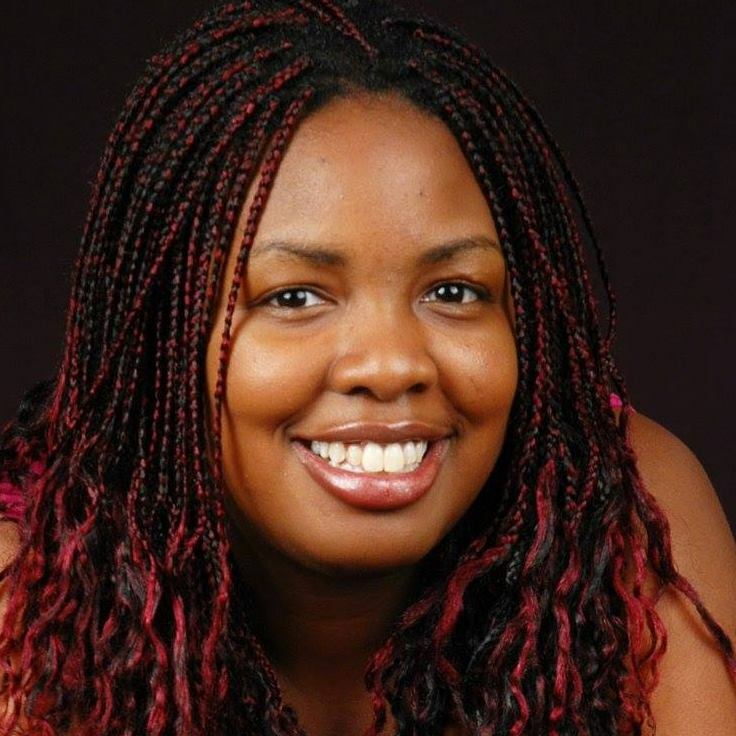 Latisha Jones is the Program Manager and Outreach Coordinator for the Children’s Chorus of Washington. She has her master’s degree in Educational Theater from New York University. She has worked as a theater teaching artist and teaching assistant for the past ten years. Her lifelong passion for the written word started from writing stories in the second grade and morphed into writing plays and movie scripts by time she was in college. She hopes to continue writing historical plays for children and inspire more dialogue.